How are modular buildings constructed? What are the benefits of modular buildings? For many, building a new building – from the ground up – one that reflects their organization’s goals, desires, and needs is truly exciting. We don’t often get a chance to watch as our ideas go from concept to drawings to reality – and when complete, we can delight in our achievement. But the process of getting there is far from simple. In fact, it is difficult, expensive, time-consuming and stressful. Even seasoned developers find the process daunting. Putting all the pieces together to design, permit, and build a new building can be overwhelming. That’s because the U.S. construction industry is highly opaque, and operates in an antiquated way. Such frustrating conditions have inspired many to begin looking beyond the traditional means of constructing a building in search of a better way, leading them to finally discover modular buildings and the possibilities they hold for taking the stress out of construction, while maximizing efficiency and quality. But what are modular buildings? In order to best understand how modular buildings are reshaping our cities, it’s first necessary to understand what they are. 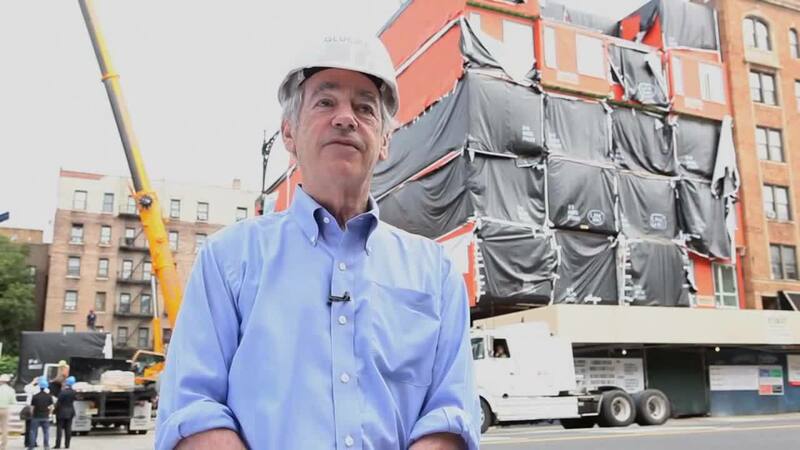 Modular construction is an innovative, sustainable construction delivery method utilizing offsite, lean manufacturing techniques to prefabricate whole building solutions in deliverable module sections. This process permits constructing a building under controlled conditions in a factory, using the same materials and designed to the same building codes and standards as conventionally constructed buildings, but in about half the time. While this process is gaining new momentum in the 21st century, the concept is nothing new. Some records even suggest that principles of early modular construction were used as far back as the 1600s. The first wide use of true, modular construction, though, dates back to the 1880s, when the California Gold Rush generated an increased need for buildings to house the influx of prospectors. Since then, modular construction has been used by a great number of owners and builders for a variety of purposes. An increased need for housing, changes in the labor force, and growing dissatisfaction with the current, inefficient methods of construction, however, have renewed interest in modular construction. There are, however, two types of modular buildings, both with characteristics that make them well suited for certain functions. As they’re not permanently installed onto the site, relocatable modular buildings can be easily moved once their purpose has been served and delivered to its next location in a short amount of time. All modular buildings have two basic components: the on-site component, and the off-site component. The on-site component consists of all the work that needs to be done on the project site. This usually includes site work, earthwork, utilities, infrastructure, foundations, and other below-grade structures. If applicable, it may also include above-grade structures, including, cellars, basements, parking facilities, plinths and platforms. The off-site component consists of modular units built in the a factory and then transported to, and assembled upon the platform constructed on-site. Whether you choose the full Turnkey option or elect to just have Deluxe handle the off-site component, building the modular units for you, is up to you. How does off-site construction work? What sets modular construction apart from traditional methods is that as much as 80% of the total construction takes place within a controlled facility. The Deluxe factory in Berwick, PA, for instance, features two quarter-mile long assembly lines, along which the individual units are built by our team modular technicians. The six sides of the unit are built and attached together to form the structure. A quality modular unit requires quality materials. Deluxe Modular uses steel, rather than wood, for its structural frames for superior strength, non-combustibility, stability, mold/pest resistance, and sustainability. Walls, floors, windows, and doors take shape. 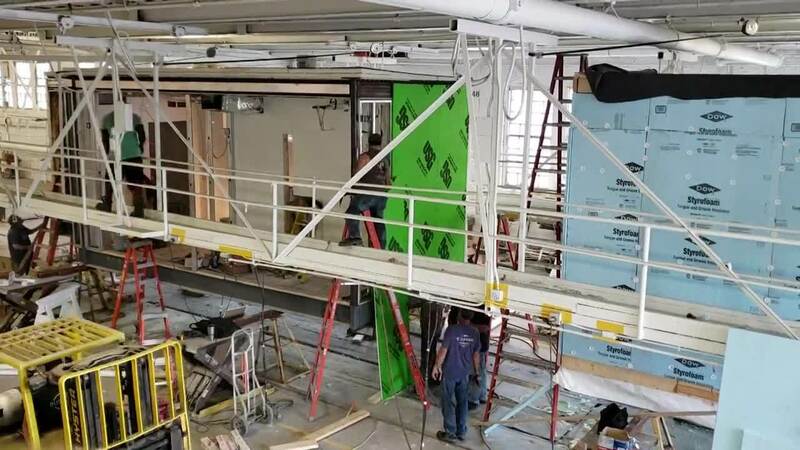 Walls and flooring sections, fabricated at a different station, are added to the unit. Mechanical, electrical, and plumbing utilities are added. The exterior of the unit is completed. Flooring, appliances, cabinetry, trims, and all other interior finishes are added to form a completed unit, ready for delivery. Once the units are completed, they are transported to the build site, where a construction team has already prepared the foundation. From there, the units are pieced and stacked together, like a puzzle, to form a finished building, ready for use. 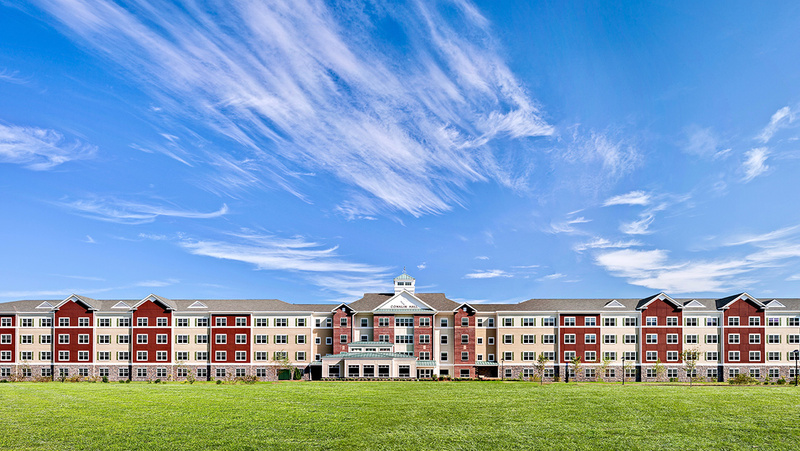 Explore our Case Studies to learn more about how Deluxe simplifies construction. Choosing modular construction over traditional, onsite construction comes with a number of key benefits. Constructing a building through onsite methods is notoriously inefficient. It typically involves the coordination of multiple, disjointed teams that all too often results in miscommunications, conflicts, and mistakes that require costly returns to the drawing board all before the ground is even broken. Once plans are finally solidified, the construction process is no more efficient. Delays in material deliveries, difficulty organizing large teams and equipment, and inclement weather are just some of the factors that most commonly lead to delays. Modular construction minimizes all of these issues by streamlining the entire preconstruction and construction process. Selecting from existing, pre-engineered design templates, approved and scalable to fit a wide variety of needs cuts down on the time required to design a modular building. And the process of fabricating the units off-site while the site is prepared means that any delays experienced on-site do not impact the progress being made in the facility. The efficiency continues into the final stage of the building. As the modular units have already been completed in the facility, right down to the finishes, they need only be assembled onsite – a task that can be accomplished in a matter of days, not months or years. By the end of the project, choosing modular can save a property owner as much as 50% of the time, compared to traditional construction. Streamlining the process does not only reduce the time it takes to complete a project. It also reduces the cost. Minimizing the teams, delays, and wasted materials typically associated with designing and constructing a building means choosing modular can cut costs by up to 20%. Traditional construction produces enormous amounts of waste, most of which ends up in landfills, polluting our environment. With most of the construction process taking place in a controlled facility on a highly organized assembly line, modular construction is able to minimize the amount of waste created and can prevent pollutants from entering the soil, air, or groundwater. In addition to reducing waste, Deluxe Modular takes pride in recycling materials that cannot be used during fabrication. For example, leftover scraps of drywall are sent back to our supplier to be processed and turned into new drywall for later use. In addition to enhanced completion time, cost savings and greater sustainability, modular construction significantly reduces site disruption by removing approximately 80% of construction activity from the site, resulting in improved overall safety and security and avoids additional vehicular traffic. Structurally, modular buildings are generally stronger than on-site built buildings because each module is engineered independently to withstand the rigors of transportation and craning onto the project platform. Once connected and sealed, the modules become a single integrated building. Building in the factory permits better construction quality management. Deluxe has a stringent quality control program with third-party independent inspectors in our factory daily testing protocols and certifying our work to state standards. All these factors considered, modular construction delivers a building of superior quality in less time, at less cost, and with less waste than traditional construction methods, making it little surprise that the processes is gaining popularity in the US and around the world. Modular buildings have already become commonplace in Europe, Asia, and Australia and the Modular Building Institute, a leading, international organization for modular construction expects the trend to continue into the United States in the coming years as property owners and developers continue to become more aware of the revolutionary possibilities of modular buildings to change the way in which we build our world and create better solutions for everybody. Request a free quote today to learn more about how Deluxe Modular can deliver your large-scale, commercial building project on time and on budget.